How would you like to return home from your Hawaii vacation boasting about your visit to America’s only official royal residence? You can, if you visit Iolani Palace on Oahu! Iolani Palace in downtown Honolulu was the residence of the last monarchs of Hawaii, King Kalakaua and Queen Liliuokalani. And, if you’re visiting Hawaii soon, you can be one of the first to see the Palace’s latest addition: a pair of reproduced kahili (white feather standards) that are now on display in the Palace’s Throne Room. The installation procession of the kahili is an important ceremony, as the feather standards were an intregral part of a royal family's tradition. Under the cover of darkness, Iolani Palace installed two new kahili at midnight on Monday, November 16, 2015, following Hawaiian royal protocol. The installation is part of an effort to bring Hawaiian history to life and to reconnect modern Hawaii with the past. After a lengthy research process and securing the funding needed for the project, it took a team of volunteers led by cultural expert and kahili master Shad Kane nearly six months to craft the pair of white feather standards that stand 16 feet tall. In keeping with the monarchy era, the kahili were fashioned in the traditional manner using more than 22,000 individual moli (Layson albatross) feathers. 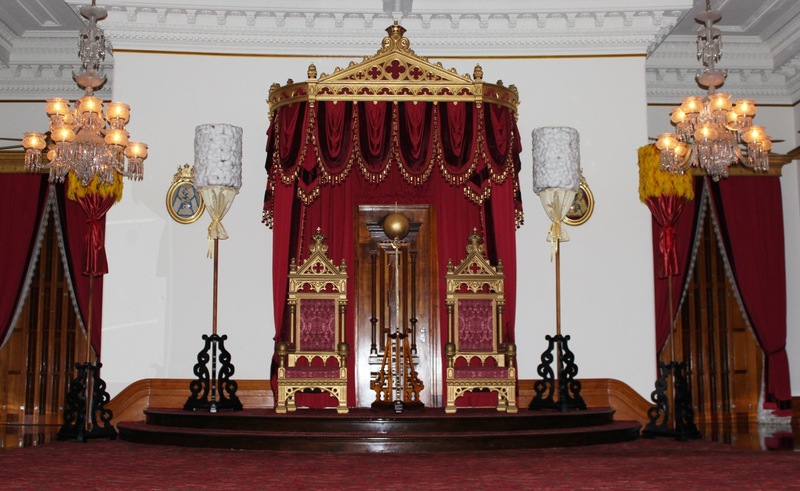 The kahili were installed in the Throne Room at Iolani Palace. 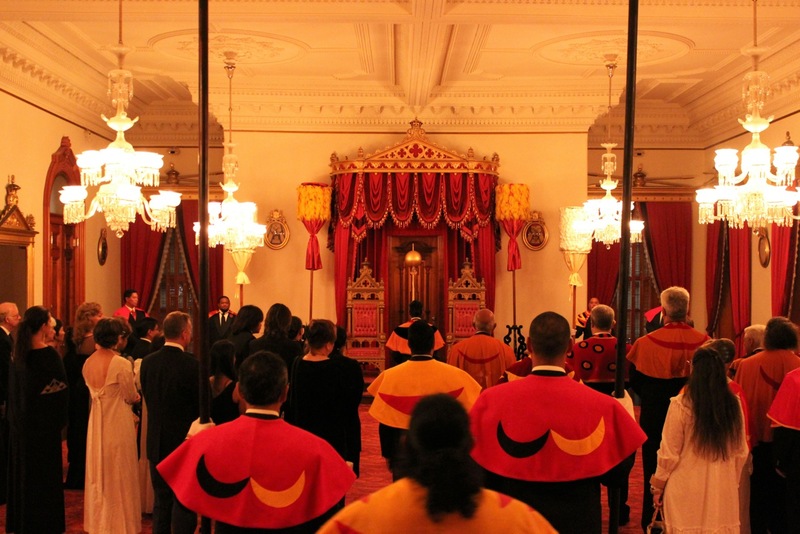 The installation protocol began at midnight with a procession from the ceremonial front steps of Iolani Palace, up the veranda, and into the Throne Room, where the kahili were placed in their appropriate places on each side of the dais and given their Hawaiian names of Piikoi (male) and Kinoiki (female). Protocol participants included Iolani Palace Board President Robbie Alm and several board members, de Alba Chu, Kane, representatives from project partners, Daughters of Hawaii, and members of the four Royal Benevolent Societies—Royal Order of Kamehameha I, Sons and Daughters of Hawaiian Warriors (Mamakakaua), Ahahui Kaahumanu, and Hale o Na Alii o Hawaii. Interested in viewing these extraordinary artifacts? If you book an Oahu Super Saver All-Inclusive Package through Hawaii Aloha Travel, you can choose to spend your last full-day on Oahu riding the Waikiki Trolley, which includes a stop at Iolani Palace. Other stops include the Chinatown, the State Capital, and Kapiolani Park. Even if you’re only in Hawaii for the sun and surf, it’s equally as important to soak up Hawaii’s rich culture and history, too. After all, learning about Hawaii’s rich traditions only enriches your vacation!